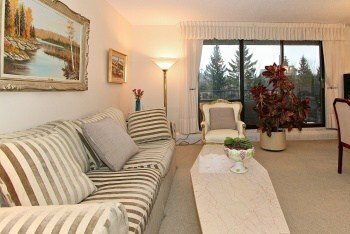 Enjoy Spacious, Secure, and Carefree Living in this 3 Bedroom 2 Full Bath at Frobisher Place in Ottawa – 607-1785 Riverside Drive – Terrific Value at $269,900! — Sold! Rarely available in Ottawa – Enjoy Condo Living with 3 Spacious Bedrooms with 2 Full Baths, at Frobisher Place – conveniently located right across the street from the Transitway on Riverside Drive. One of the best layouts in the building. Great separation from the living area and the bedrooms. View the Photo Gallery or View the Video! Your condo fee even includes your heat and hydro. Amenities abound, from party room, guest suite, indoor pool, billiards room, ping pong room, underground parking, locker, exercise room, bike room, free car wash bay and even a tuck shop off of the lobby. Nearly 1100 square feet and 3 spacious bedrooms makes it easy whether you’re downsizing from a house or whether you’re moving up from a smaller unit. Master features a large en-suite with a walk-in shower, great for any one with accessibility or mobility issues. Large Balcony allows for great outdoor space with treed views and no rear neighbours. Close to 4 hospitals, great schools, minutes from downtown and lots of shopping nearby. In excellent condition – move right in and enjoy a great carefree lifestyle secure in your own spacious home. Across the street from Rapid Transit and the Bike Path. It’s also just a short walk (one bus stop) from Lycée Claudel d’Ottawa – The Lycée Claudel d’Ottawa is a French private school in Ottawa, located on Old Riverside Drive. The school has approximately 1000 students in grades JK-12. The Lycée Claudel d’Ottawa also has an exceptionel eduction curriculum and is number one in several contests including “Top ten school of the year in North America”. Click on the attachments below to see the floorplan and property details. Call Eric Manherz today at 613-238-2801 to find another great deal for you!